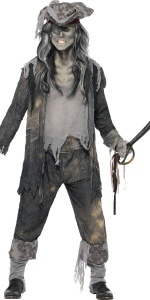 Includes: Long Coat and Hat. 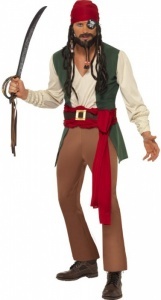 Includes: Shirt/Waistcoat, Belt, Pants and Bandanna. 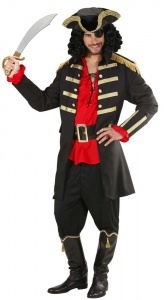 Pirates have always been popular when it come to dressing up. 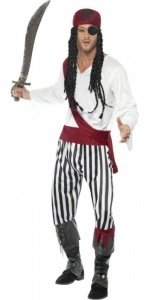 Take a look at our great range of mens pirate costumes. 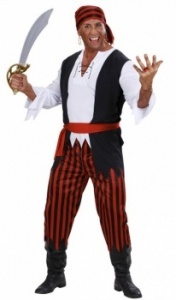 Whether it be the rum smuggler costume, Caribbean pirate or any other one of our great mens pirate outfits, be sure you will not be disappointed as all our costumes are great value for money and very comfortable to wear. 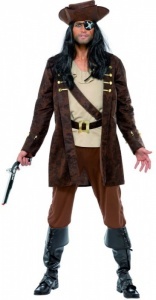 Why not finish the look by adding one of our great pirate wigs or accessories. 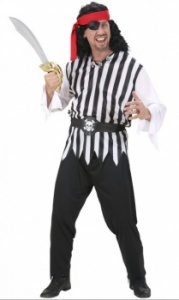 The eye-patch and sword are just a few. 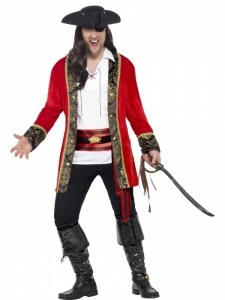 Stand out from the rest at your fancy dress party with one of our stunning costumes. 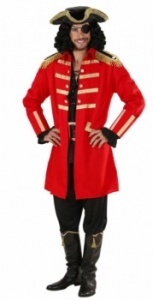 Just to make things easier we have most sizes available to help give your that perfect fit.